Flowering in ornate symmetry reminiscent of traditional Hindu design, the Tanmayi Indian Earrings are made for dancing under the stars on sultry Summer nights. Smooth sunset hue beads embellish the gold metal framework hanging from a cabochon stud. One of our favourite's for ultimate boho glam. 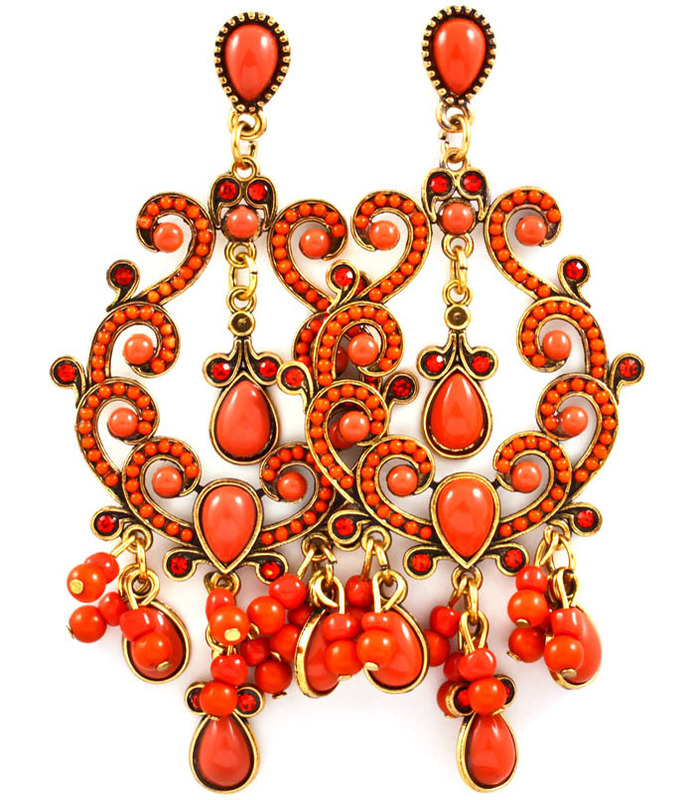 Spice up your favourite outfit with this lovely piece of costume jewellery.